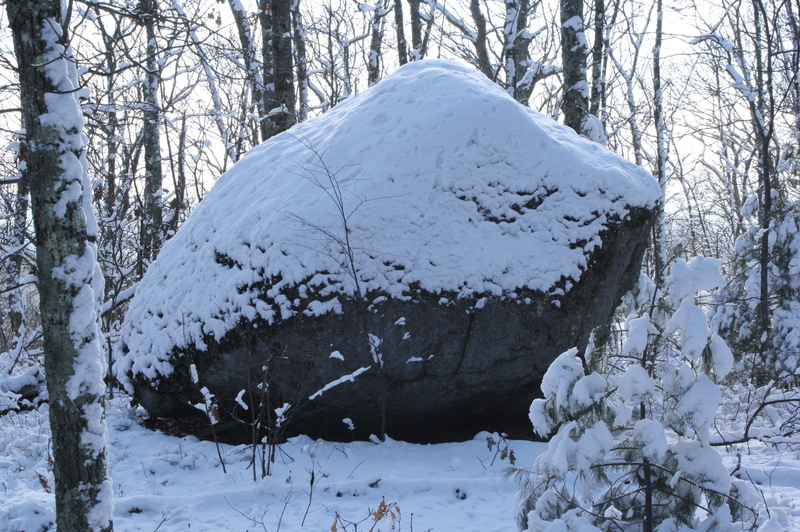 This propped boulder sits along a hilltop overlooking the lower beaver bonds. Its shape is similar to that of a Bull Frog or possibly a Snail. Quietly resting on top of a Pink/Rose Quartz stone. Quartz was a stone used in practice to ward off evil spirits as well as signify lunar and solestcial importance. 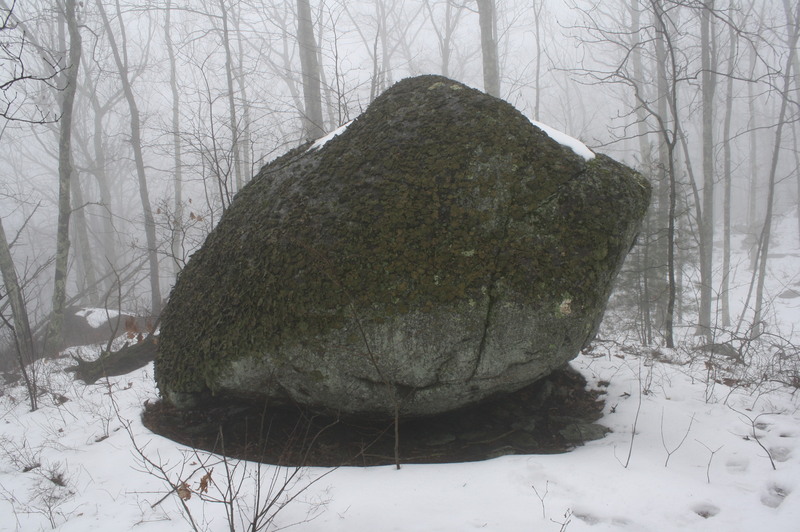 Covered in snow the eyes of the Bull Frog can be seen on the top center of the boulder. A thick coat of lichen and moss cover the stones on the hill. 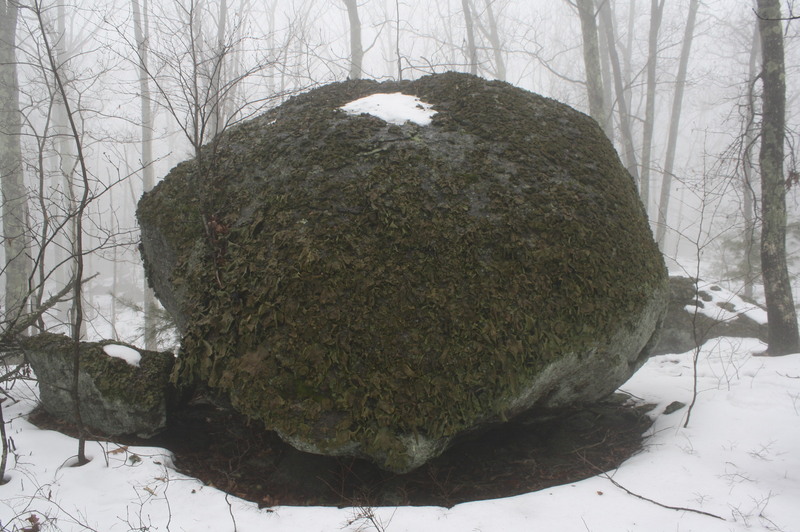 The skin of vegetation gives the stone a living energy. 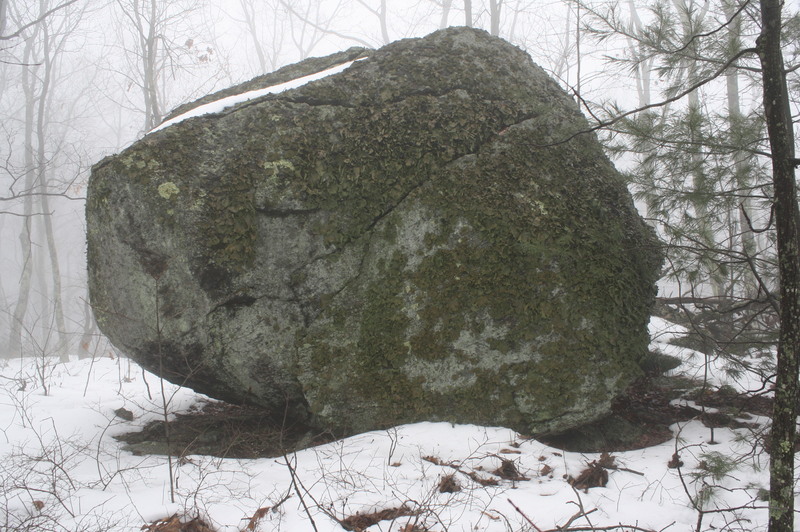 This stone is partially propped. 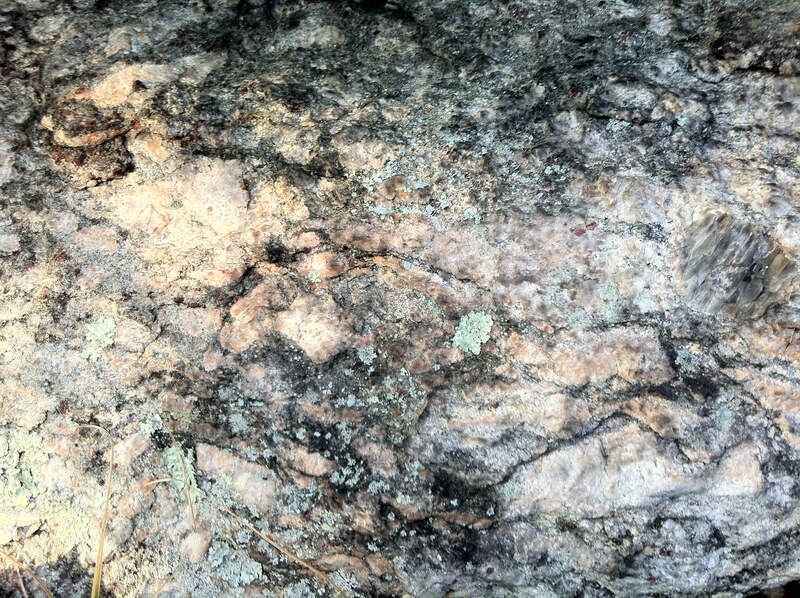 This photo shows the bottom center edge making contact with the ground. 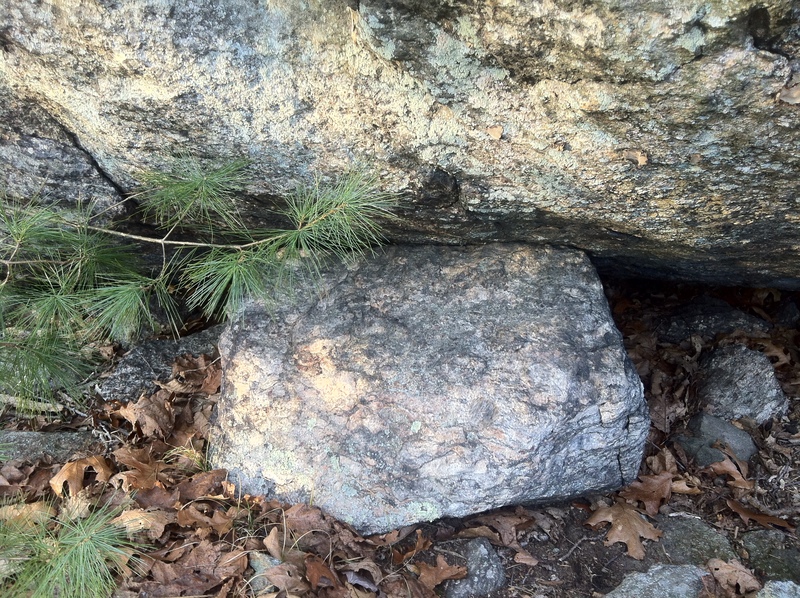 To the left is an open space (see bottom photo) and to the right is where the Pink Quartz stone is positioned. Here is evidence of a fire at one point. Sot covers the lower portion of stone. Is this another example of thermalling? 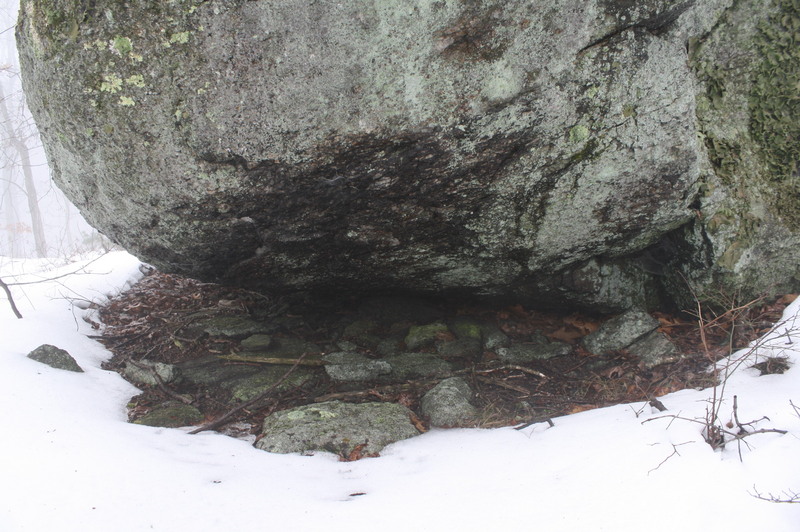 Smaller stones surround the base with this and many other boulders in the area. Are these the potential tools used to create the boulder? Possibly stones left in memorial from years of pilgrimages and celebrations? For the some the simple explanation is time and weather but those pieces tend to be obvious, lying broken shards in the ground.